Guest post: In the same way that in the US they say that Stanford or MIT are good gateways into entrepreneurship, the same applies to consulting firms in Spain. This guest post was written by Iñaki Berenguer, currently the founder & CEO of CoverWallet. Prior to that, Iñaki founded and led Contactive and Pixable (both acquired), and worked at McKinsey, Microsoft and HP. In Spain, consulting firms like McKinsey or Boston Consulting Group (BCG) have traditionally been a significant source of talent for Spanish multinationals looking for executives. As an example, the current president of BBVA, the current CEO of Abengoa and the former CEO of Telefónica all worked for these firms. What is not so obvious it is that, in Spain, both McKinsey and BCG have also been a great source of successful entrepreneurs. If you look at the list of startups that have created most value in recent years (this is a good list from Carlos Blanco), you’ll notice that former employees of McKinsey or BCG are behind many of these projects, despite the fact that these two companies only employ about 100 people in the country. Startups such as idealista, peerTransfer, eDreams Toprural, Olapic, Acierto or Tuenti, were all founded by former consultants. 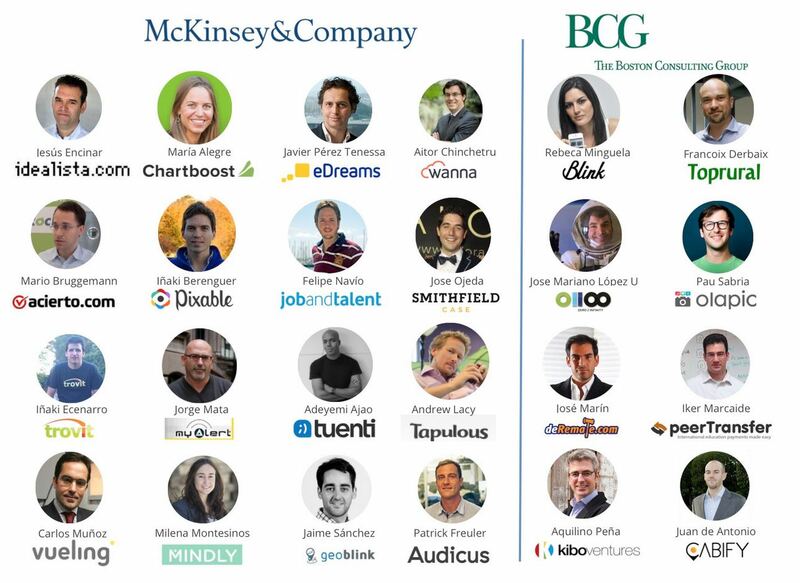 In the picture above, I show some outstanding examples of entrepreneurs I know who worked for BCG or McKinsey before launching their own startups. What differentiates the education and training provided by these firms? 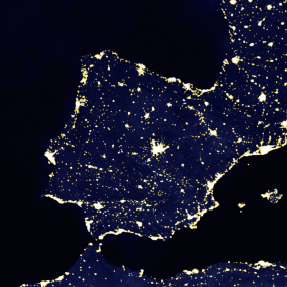 Why do they seem to have such a significant impact in the Spanish startup ecosystem? Several skills. The importance that is given to problem solving and showing drive and personal initiative; high level of detail in the planning and implementation of new initiatives; continuous learning; the pursuit of excellence, as well as professional ethics and values; the importance of surrounding yourself with multidisciplinary talent in order to deal with professional challenges; teamwork and leadership; the importance given to creating a big impact and to think ‘client first’; the culture of effort; quantitative analysis and data to make decisions, etc. All of these skills are relevant both for large companies and for startups that are starting from scratch. With this post I intend to dismantle the myth that I’ve heard in several entrepreneurial circles, which says that consulting training adds little value to a startup. When BCG or McKinsey say their career sites that their internal culture “is a strong supporter of entrepreneurship and professional development”, they are not lying. But in addition to training and the skills that one can acquire at such companies, there is also an extremely important aspect for any professional career, which are personal references and the ecosystem of ‘peers’. The fact that when you get to McKinsey or BCG you are told about former colleagues that have become entrepreneurs and that have gone through similar experiences, it encourages you to do the same at a later point in your career. In addition, many of these peers often end up becoming important advisors or your first investors. In my case, knowing the story of eDreams or Vueling helped me leave my job and launch my first startup. 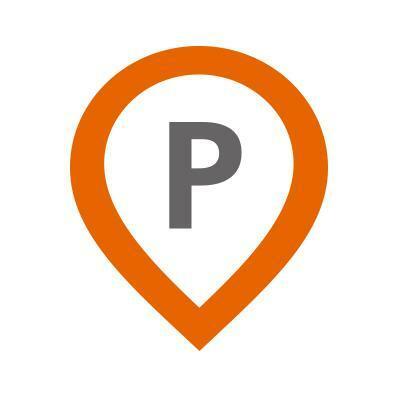 At Pixable we received financial support from several colleagues, and now it’s my turn to invest and help other startups from former consultants (Zero2Infinity, peerTransfer, Geoblink, Audicus, Blink, Cabify or Acierto). In the same way that in the US they say that Stanford or MIT are good gateways into entrepreneurship, the same could be said about McKinsey, BCG and other consulting firms in Spain.